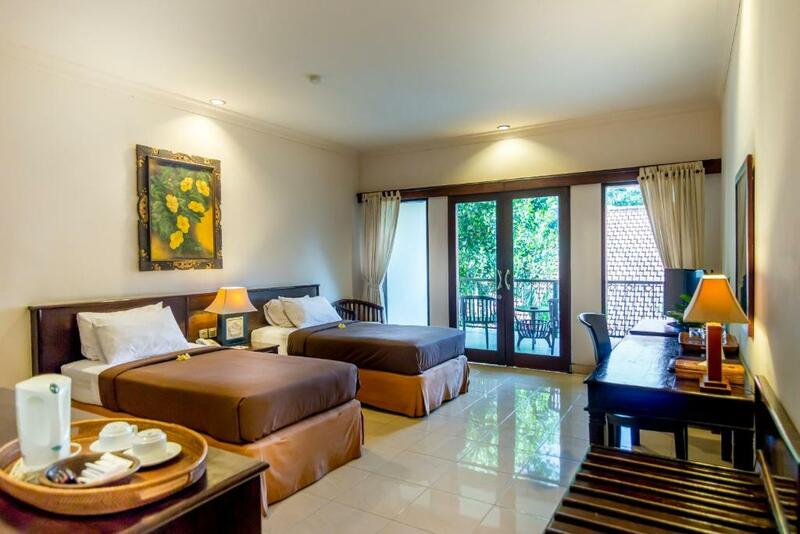 Boasting a location close to town, Champlung Sari Hotel is uniquely bordered by Ubud’s Monkey Forest Sanctuary, home of the Balinese long-tailed monkeys. Set within landscaped gardens, it features 2 outdoor pools and a spa. 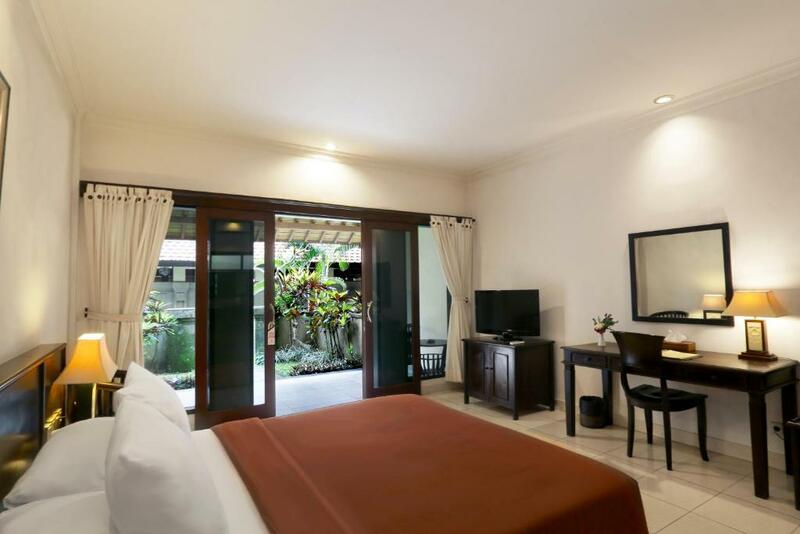 Champlung Sari Hotel Ubud is just a 10-minute walk from the city centre of Ubud and the Museum Komaneka. Free shuttles to Central Ubud are provided upon request. 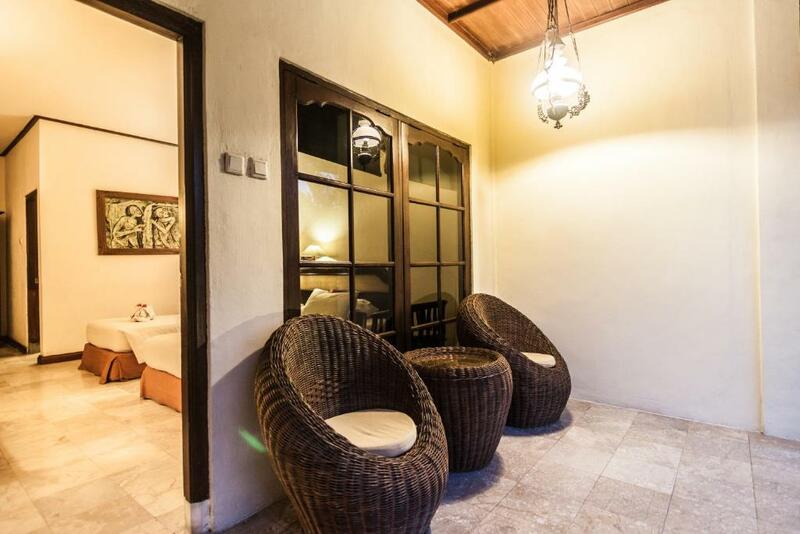 Featuring wooden furnishings, rooms come with a private terrace and an attached bathroom with a bathtub and shower. 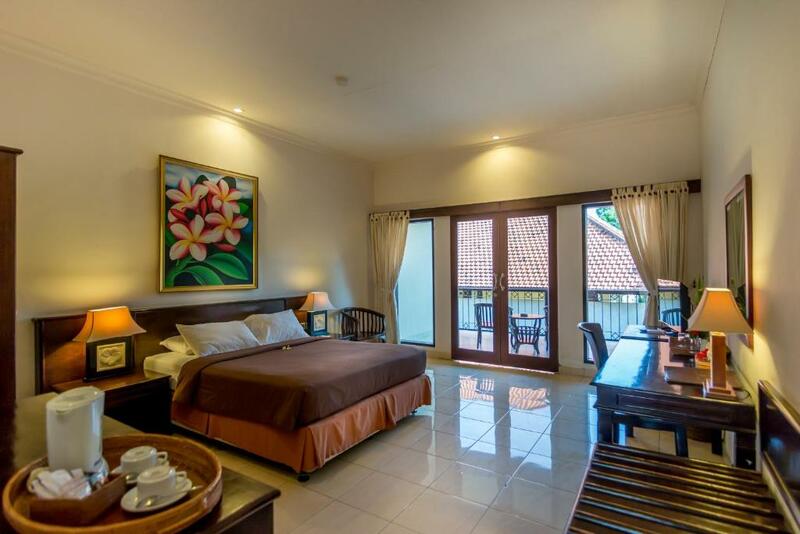 Each room features satellite TV, tea/coffee making facilities and a minibar. 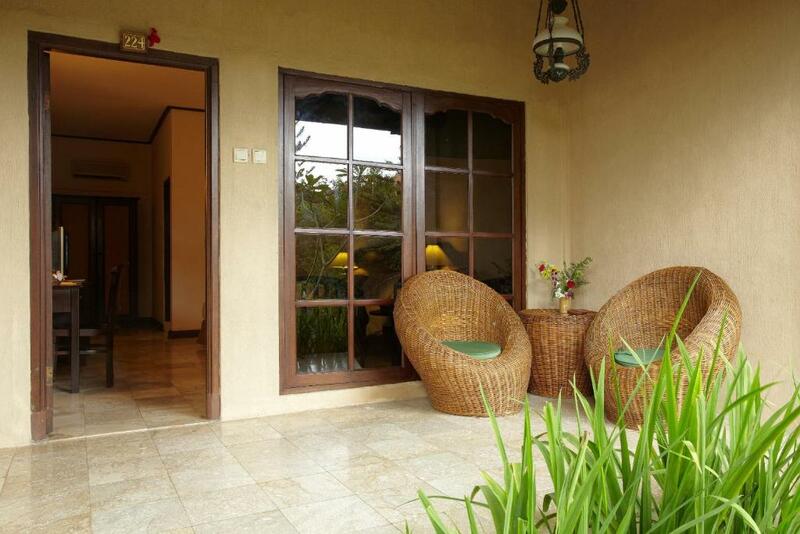 Guests can enjoy massages and facial or body treatments at Purnama Spa. Services include tour arrangements, currency exchange and laundry. Safety deposit boxes are provided at the 24-hour front desk. Wi-Fi is free in public areas. Pool views accompany international meals at Kamani Restaurant. Open for lunch and dinner, Wananara Restaurant & Bar overlooks the surrounding forest. Guests can also order room service. 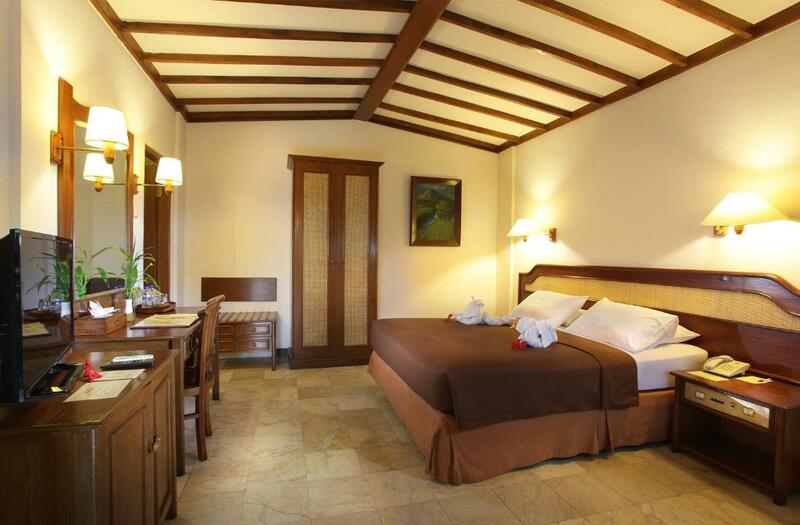 Featuring timber wood furnishings, rooms come with a private terrace and an attached bathroom with a bathtub and shower. 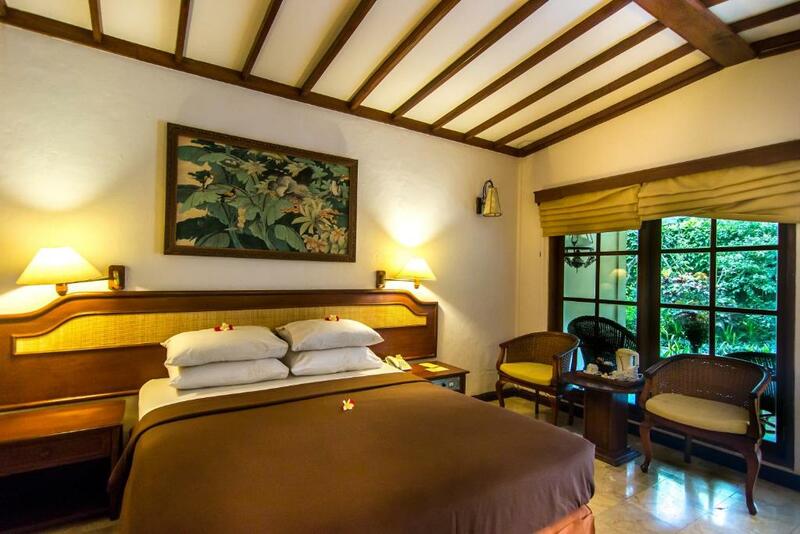 Some rooms overlook the main pool and the Monkey Forest Sanctuary opposite the hotel. Features elegant furnishings and a private walled garden. 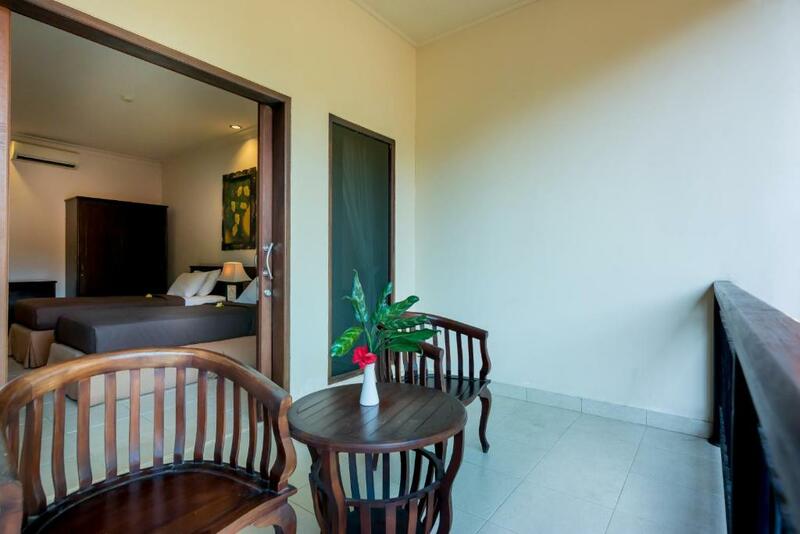 This twin/double room has a seating area, electric kettle and minibar. 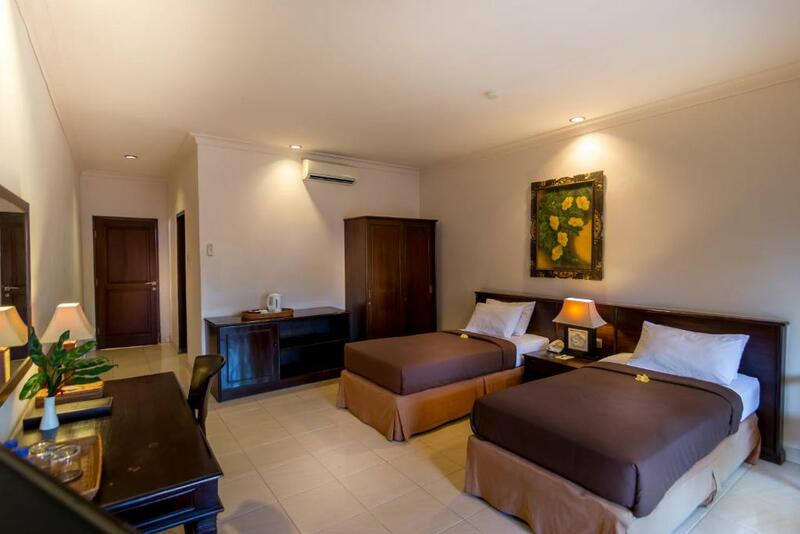 Offering 2 adjoining, side-by-side, non-interconnecting rooms. 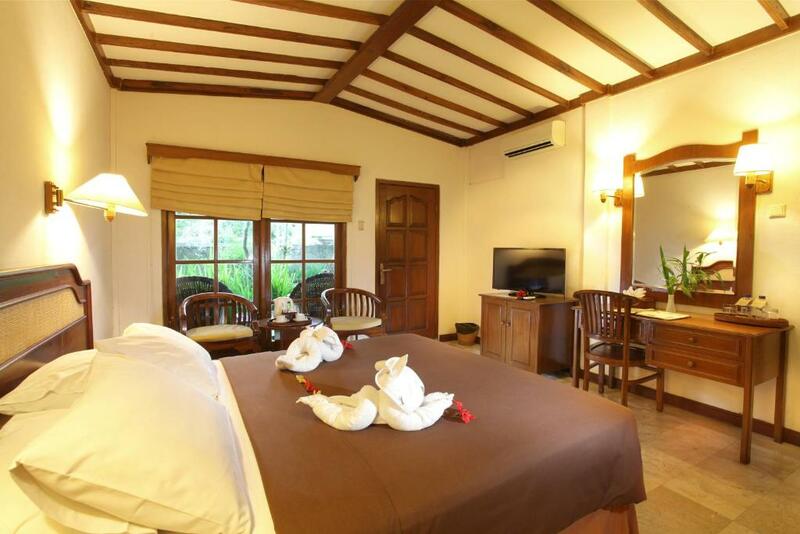 Some rooms overlook the main pool and the Monkey Forest Sanctuary opposite the hotel. 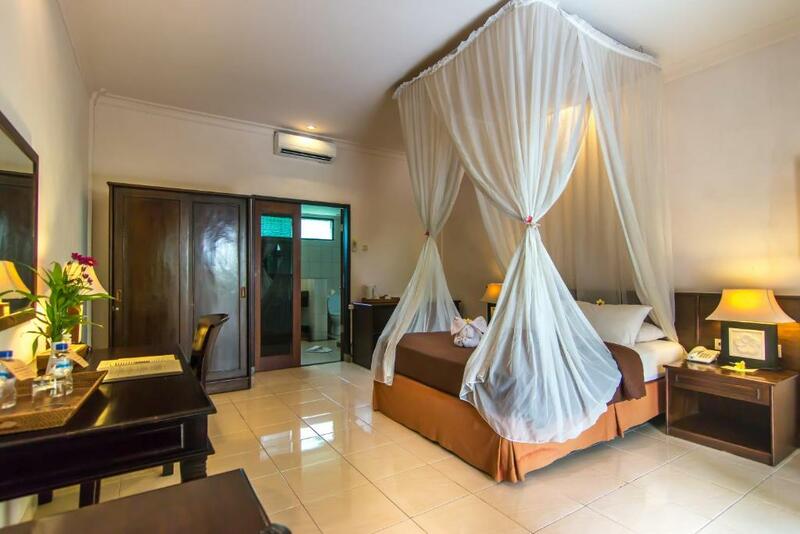 Guests enjoy 1-time, 1-hour daily massage for 2 persons. 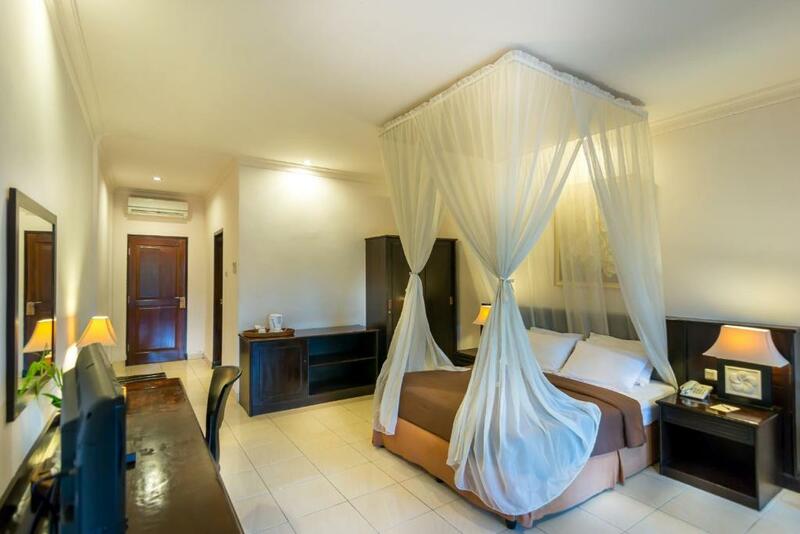 This twin/double room has a minibar, seating area and bathrobe. Your experiences are very helpful to other travellers. 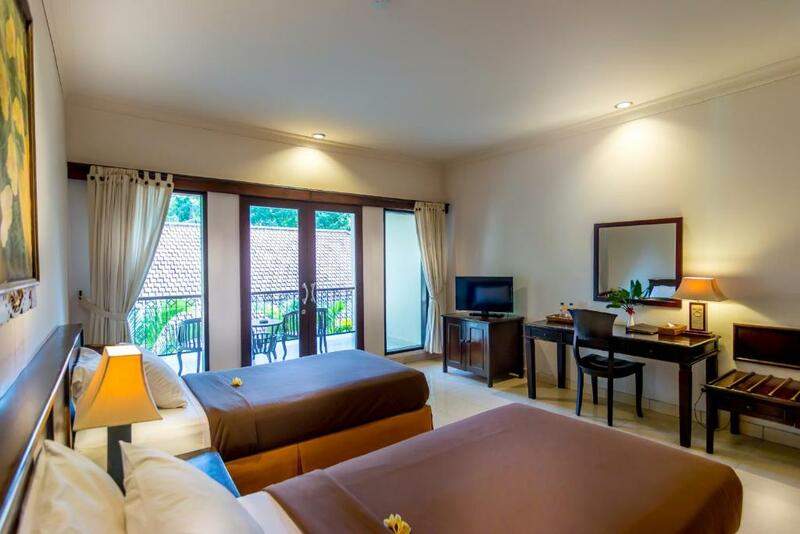 On a scale of 1-5, rate the equipment you have used during your stay at the hotel Champlung Sari Hotel Ubud and express your opinion. Your opinion is important! 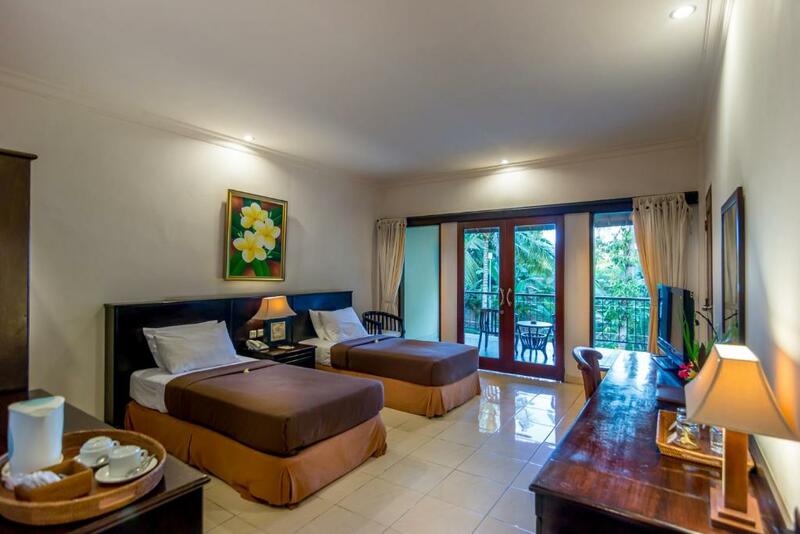 I certify that this review is based on my own experience and is my genuine opinion of this hotel (Champlung Sari Hotel Ubud), and that I have no personal or business relationship with this establishment, and have not been offered any incentive or payment originating from the establishment to write this review.